This stage of Harriette’s memoirs seem to flit from the beginning of the year to the end of the year and back again, she ties herself in knots, but I’ll do my best to unpick them. Before I do though as usual here is the background for this series of posts, for anyone joining the blog today. If you’ve already read it, then as always just skip to the end of the italics. So Harriette begins this week’s episode by talking about the family she was living with in Charmouth, as she tried to avoid the temptation of being unfaithful to Lord Worcester. She tells us the young woman she lived with was so pious that her only chance at love she walked away from because the man refused to tell his family if he married her – she could not endure living a lie and deceiving his family. I have to say though this piece sounds like Harriette is pinching a scene from a Jane Austen novel. The conclusion to the Harriette’s little story of the family becomes suddenly sombre, when Eliza, the young woman involved, runs from the room in tears, and then her mother tells Harriette she is dying of consumption “Eliza, generally speaking, was more cheerful than persons usually are when they are dying…” Harriette says to end the tale of Eliza’s lost love, pious nature and illness. Harriette goes on to speak of Mr Meyler, the temptation she has left behind in London, and speaks of him writing to her constantly offering to support her, if Lord Worcester does not fulfil his obligations. She says her sister Fanny writes of seeing him in town, but he rarely goes out, however on this occasion he is in the pit at the theatre, and Harriette’s sister, Amy who had a long-standing disagreement with Harriette, sent down another man to invite him up to their box. The man did indeed bring Mr Meyler back, but Fanny said he only spoke of Harriette, asking them a thousand questions about her. Yet here again, Harriette’s memoirs turn to a somber edge as Fanny says she thinks Mr Meyler’s very pale skin, and the way he sighs imply ill-health and perhaps he has a terminal condition. Do you think something had happened to Harriette now as she wrote this – she seems very morbid and angry all of a sudden? We are then skipped to the fact that during the fourth month of her year in Charmouth, she had still not received any money from the Duke of Beaufort who was meant to be paying her upkeep as per the agreement that she would neither follow her young lover Lord Worcester abroad, or he would refuse to leave her. In response to this lack of money, Harriette leads into another pathway of the rabbit warren of her stories, and tells how she met a General who had lived next to her in London, in Lyme Regis, and asked for his advice on who to consult to obtain money from the Duke. She doesn’t give his name but accuses of him of seducing every maid in the area about him (I think this is her hinting at someone she’s blackmailed to keep is name out of her stories, so she cannot name him, but wishes an opportunity to have a stab at him none-the-less). This General then gives her the name of a solicitor, who is equally accused of being a “Lady-killer”, perhaps this episode of her memoirs was all about getting her own back… ? Anyway she did not use the solicitor, although she accuses him of making an inappropriate suggestion of calling on him after dark to discuss the case, which she then retracts, saying it was all a misunderstanding – Reading between your lines can be very confusing sometimes Harriette. She does however obtain her money from young Lord Worcester’s father, by applying a little blackmail. She tells him if she does not receive anything she will simply travel abroad to meet his son. The money did arrive after that. She now closes this period, shifting to a comparison of Mr Meyler and Lord Worcester, as another letter arrives from each, Mr Meyler’s, threatening that he’s had enough of waiting for her, and if she will not have him soon, or at least make a definite promise to leave Lord Worcester at the end of the year then he will simply begin another relationship himself, “You have a husband, with whom you are, it seems, quite satisfied; or rather a lover, for whom, too, you cheerfully resign me, and the income I have offered you, to assist those methodistical Edmonds, in feeding their pigs and chickens! Grand bien vous fasse! I, too, shall take unto myself a wife, as the Quacker says, and verily the spirit has moved me towards a certain fair one…” – Sounds like a man in Harriette’s mould. She goes on to say Mr Meyler had gained a position in Parliament, but in a seat, which Lord Bath said, was a good position for sleeping. Worcester’s gushing letter on the contrary, “we are within a stone’s throw from the enemy. God only knows whether I shall be permitted to see you again or not. Your chain is around my neck, and as for you picture, I could not press my lips near enough to your sweet delicious eyes, without taking off that glass; and now, alas! I have kissed the left eye out, altogether, with your under lip…” I presume he’s speaking of kissing her miniature which he must carry, which would have been her image painted onto ivory. “But oaths are all nonsense, particularly those of noble lords, marquises, and dukes; besides, if I were to go on with the most noble the Marquis of Worcester’s letter, I might tumble upon something indecent (I think this is another silent threat, written to the man involved as a grown man, many years after this actually occurred, perhaps he was not paying up on his blackmail debt). “Who knows; we are but mortal! Even Marquises and dukes are but mortal! And the weather is so hot in Spain and Portugal!” – ooo, I wonder what gossip she was dying to tell but kept to herself. She goes on to definitely write her next few lines to him. “Poor Worcey! You ought to have seem me provided for, and yet I can never quite forget how dearly you loved me, when you gave up all society, endured almost a parent’s curse! Nay, more, gave up hunting! And offered to support me by driving a mail-coach! We’ll leave Harriette there for today, brooding away bitterly. When she began her memoirs they were all full of stories she was obviously dying to share, probably with a vision of gripping money in her hand. But by this point she sounds only tired of them – as well as angry. She has probably received her money already and is now bored with reliving memories of youth and beauty while all around her men and women were condemning her for sharing her them. 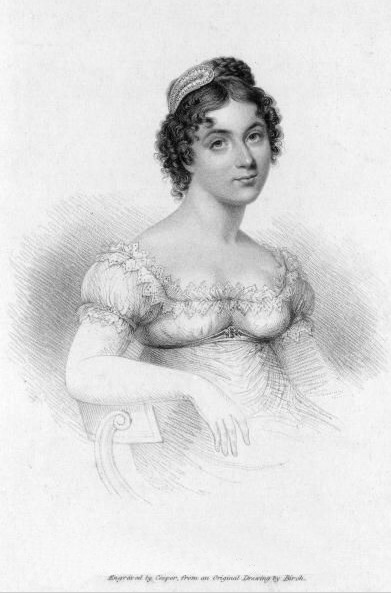 Posted on November 11, 2013 by janelark •	This entry was posted in Regency Stories, Scandalous Women and tagged 1800s, 19th Century, author, Courtesans, Harriette Wilson, Historical Memoirs, Historical Novels, Historical Romance, history, Jane Lark, novels, regency books, Romance, writing. Bookmark the permalink.